Most brides spend months, or even years, planning their wedding. Ryan Dunleavy had five minutes. Dunleavy’s boyfriend of three years, Kevin Ebbesen, had a trick up his sleeve for their recent trip to Ireland. Not only was he proposing, he had the entire wedding planned for the same day. "She's always wanted to elope, so why not get engaged and married right away," Ebbesen said. Ebbesen originally told Dunleavy they were traveling to the Emerald Isle to see a piece of land he had purchased for her. She had a sneaking suspicion a proposal was coming. "I pretty much knew," she said. Standing on the purchased land, Ebbesen proposed to his true love. She said yes and the two hopped in a cab to go back to their hotel. But that's where her intuition failed her. Instead of taking them back to their hotel, the taxi pulled over for one important stop -- their ceremony. Much to her delight -- and shock -- Ebbesen told Dunleavy she was getting married right then and there. A bus full of family and friends pulled up. Her sister came armed with a wedding dress, her father walked her down the aisle, her brother prepared to perform the ceremony. 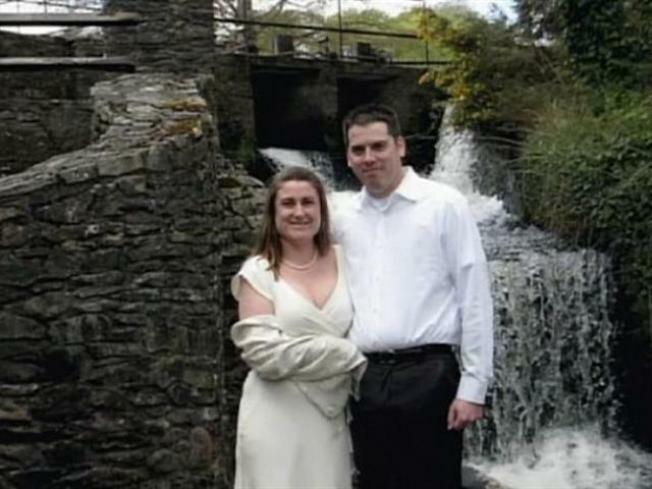 It took Ebbesen more than 300 e-mails, exchanged on a secret account with Dunleavy’s family, to plan the super-secret wedding. But it all turned out spectacularly. With the luck of the Irish upon them, the marriage should hopefully last longer than the engagement did.